This is a pristine 3 bedroom, 3 bath expanded ranch with a large family room with vaulted ceiling and a fireplace. Open floorplan, natural gas heat, hardwood floors, bright sun room, finished basement with family room, an outdoor shower, and lots of privacy. The 1276 sqft of living space doesn't include the sun room or the finished basement. Come See! 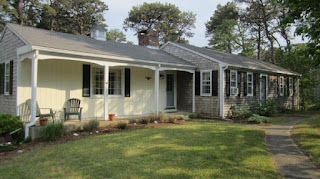 For lots of photos, a Virtual Tour, and a map, go to http://1150BridgeRd.robertsheldon.com. This has been a great rental property, too! Photo of the Day - Thank You! 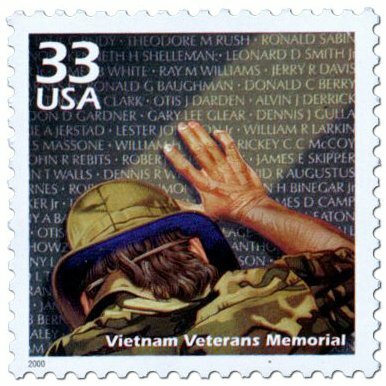 To those brave souls who gave their lives so we can live in freedom - Thank You! WCVB TV (Channel 5) showed a great video report on the prospect of larger numbers of sharks this summer, based on the fact that there seems to be a larger number of Grey seals on the Chatham beaches. Additionally, the video discusses the increased shark awareness at the Atlantic facing beaches to keep swimmers safe. My June 2013 Market Report Is Available Now! My June 2013 report is available now! This issue of my newsletter has my market report through April. 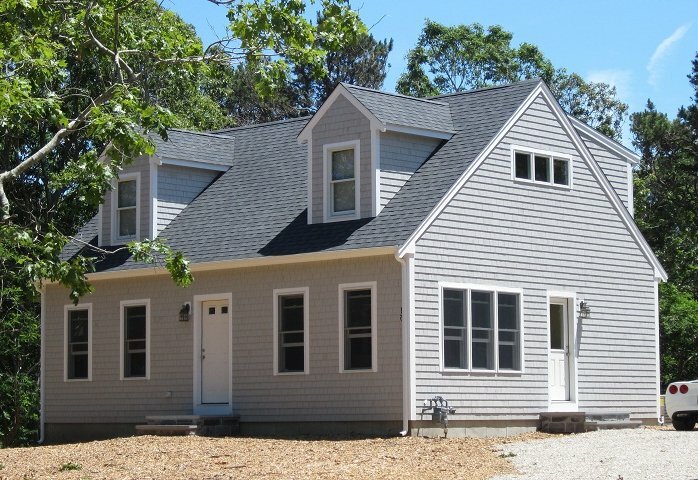 Additionally, there are articles about municipal water in Eastham, the rental home tax, the re-painting of the Nauset Lighthouse, and several new listings. This newsletter has been published every month for over 10 years. My goal, with my newsletter, is to provide accurate sales and market information about the Eastham housing marketplace, to add commentary and opinion (as appropriate), and to keep it interesting. Download your copy of my June newsletter now. 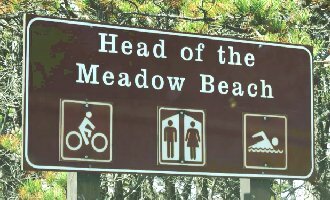 The Head of the Meadow Beach is actually two beaches - a Cape Cod National Seashore beach and a Town of Truro beach. These beaches are at the end of Head of the Meadow Rd, off Rt 6 north of the Highland Lighthouse. Take a look at this video, created by the Cape Cod Times online edition. This is a to-be-built 1550 sqft contemporary Cape-style house, about 2 miles to Marconi Beach and Wellfleet village. This 2 bedroom, 2 bath home will have hardwood floors, solid surface counters, gas (propane) fireplace, gas heat, central A/C, full basement with 2 car garage, rear deck, and an outdoor shower. You will find this an exceptional home with quality features and exceptional trim-work. Buy it early enough and be a part of the selection process for kitchen counters and pick your own paint colors. Go to http://45BackDr.robertsheldon.com for more information and photos. There, you'll also be able to download floorplans and elevation views. It looks like the beaches have pretty well repaired themselves. The cliffs are steeper than I remember, but the beaches (both Coast Guard and Nauset Light) looked pretty good. The path to Coast Guard is a bit steeper than it was, but quite pass-able. The surfers are out en-mass. The water is WAY too cold for me. The stairs at Nauset Light haven't been replaced yet. It appears that work has started, but certainly aren't ready for the summer crowds. I'm told the stair flights will be built off-site and brought to the beach and installed. They have only a few weeks before the folks start coming. The photo below is of the Nauset Light lighthouse, which is currently being painted. The blotches on the lighthouse are (I presume) the undercoating before the final familiar red and white. 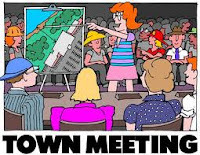 I promised in my newsletter that I would follow-up on the following articles from the Eastham Town Meeting - held Monday night in the Nauset High gym. The meeting was well attended and got loud a few times. We finished 11-ish - a long night on uncomfortable folding chairs. Article 7 - Defeated - Town-wide water proposal - see the article in the Tuesday Cape Cod Times... Here. This article needed a 2/3 vote to pass and missed by 33 votes (out of 1077 cast). A modified proposal was also voted on (to do only Phase 1 of a 7 phase plan) but also failed. I expect the Town officials to re-group and have us vote on another version of a smaller system this fall. Article 17 - Defeated - the Town decided (again) to not impose a 4% room tax on rental properties. This is roughly the same article voted up in 2010 and defeated in 2012. I fear the state will jump in here and impose the tax for us. Article 20 - Passed - to treat Great Pond for unhealthy phosphorus levels, which causes excessive plant and algae. Herring Pond was done in the fall and the results should be evident later this summer. Article 24 - Defeated - to change the long term purpose of 2 parcels of Town owned land so that they can be a part of an affordable housing solution. Article 35 - Postponed - to fix the confusing definition of Hay Rd between Gov. Prence Rd and Deacon Paine Rd. More confusing than ever. Democracy at work - I guess. 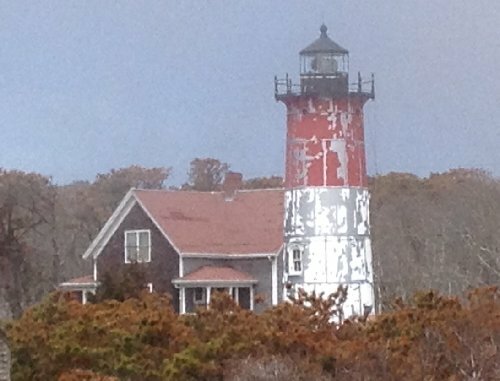 In the perfect combination of private, public, and commercial organizations, the Nauset Light will be painted this spring. 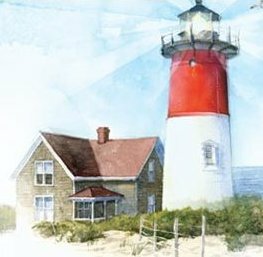 The Nauset Light Preservation Society will be having the lighthouse repainted with the financial help of the Cape Cod Potato Chip Company. Perfect! Check out the press release published in the Wall Street Journal's online edition..... Here. What began in 1972 as a friendly 3-way sail from Hyannis to Nantucket has turned into a 3 day regatta involving over 240 boats, well over 3000 individuals, a charity ball, and over $200K raised, per year, for local charities. It's a sight to see! Check out their extensive website for details and lots of photos. This race is a big deal and, I'm sure, lots of fun for all the sailors (and crew). 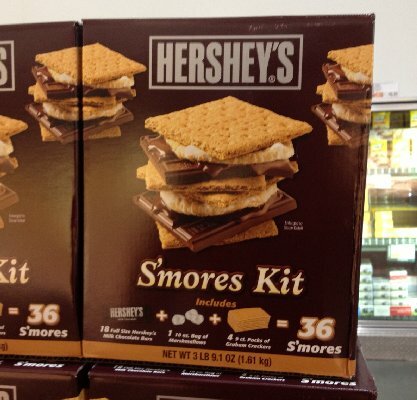 I came upon this S'mores kit at Stop & Shop the other day. Perfect for those bonfires on the beach. The kit includes marshmallows, graham crackers, and Hershey's chocolate - everything you need to create s'mores on the beach, except the fire. Ain't America great? I don't know how I missed this until now, but a giant rubber duckie is on a world tour. The 50 foot duck has visited several cities (12 cities so far, including London, Sydney, and currently Hong Kong) and is making a visual splash wherever it goes. Rumor has it that it's next grand entrance is somewhere (it's a secret!) in the US. My guess would be San Francisco, but maybe Boston would be more fun. Check out this video from Sydney. 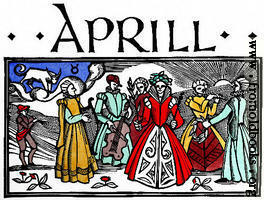 Eastham's April Sales - Interesting! 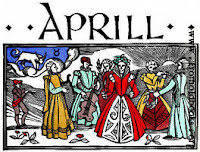 Total April sales were approximately $6.7M - the average home sale price was $605K. (Please note that one of the 11 homes sold for $3M, greatly swaying the averages. Without that house the average would be roughly $370K). The median sale price in April was $380K. There are currently 108 active single family listings in Eastham (up from 104 on April 1st), with an average list price of $668K and a medium list price of $528K. The average days-on-market is currently 247 days.